From the jacket: The Garretts are everything the Reeds are not. Loud, messy, affectionate. And every day from her rooftop perch, Samantha Reed wishes she was one of them... until one summer night Jase Garrett climbs up next to her and changes everything. This book is wonderfully refreshing. In addition to making me smile and laugh out loud at times, Fitzpatrick perfectly captures the complexity of large families and sibling relationships. A novel about family loyalty, true love, and tough choices, it is filled with characters that seem like people you would know in real life. 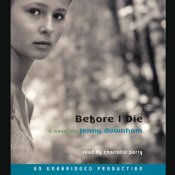 From Amazon: Abandoned by her mother on Jellicoe Road when she was eleven, Taylor Markham, now seventeen, is finally being confronted with her past. But as the reluctant leader of her boarding school dorm, there isn't a lot of time for introspection. And while Hannah, the closest adult Taylor has to family, has disappeared, Jonah Griggs is back in town, moody stares and all. This is the first book I’ve ever read twice in the same month. It's that good. Because I’m not typically a mystery reader, I did find the beginning a bit confusing / frustrating. However, the rest of the book was so amazing that I had to read the whole thing again just so I could catch the nuances I missed the first time around. Also, I couldn't stop thinking about these awesome characters! 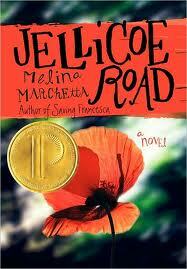 The three WHYA ladies who've read the book wholeheartedly agree: Jellicoe Road is an all-time favorite! So, what's on your literary wish list? Have you read any good books lately? SUCH good reads. So awesome to profile those that might get overlooked or aren't brand new releases. These look interesting and I'm not familiar with any of them. Thanks for sharing! Just finished MY LIFE NEXT DOOR a few minutes ago. MAN. Can't wait to read her next one! On my literary wishlist is EBON by Robin McKinley (I feel like we need a lot of holiday wishing to get that published... come on, McKinley!) as well as QUINTANA OF CHARYN by Melina Marchetta. JELLICOE ROAD is definitely a little confusing at first, but, man, is it worth the effort! Great book. Mary - Yes, there are SO many great books that don't get enough hype. Stephanie - Awesome! Let us know what you think when you read them. Jessica - Me too...will definitely pick up whatever Huntley Fitzpatrick writes next. Susan- yup, JELLICOE is so worth the effort. I might even read it a third time b/c I love it that much.